Also see: Evan Brandes Farm near Central City, NE. 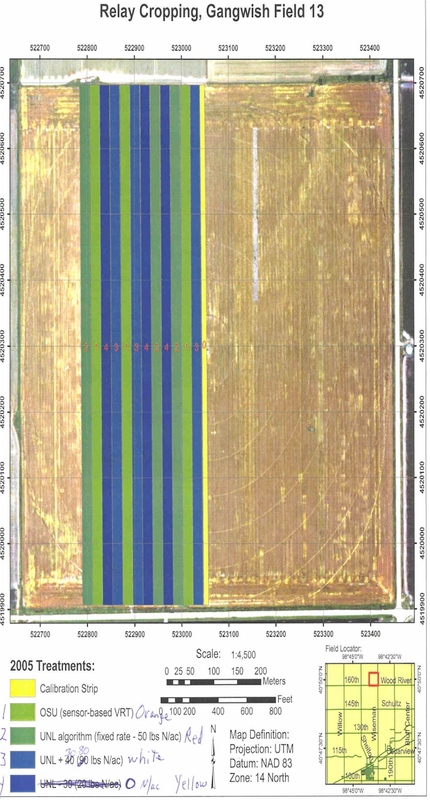 The NDVI-CV algorithm was tested in Shelton, NE and Central City, NE on April 7 and April 8 working with Dr. Dennis Francis, and Dr. Jim Schepers with the USDA-ARS. Kyle Freeman works into the evening hours near Shelton, NE, using a variable N rate applicator based on NDVI and CV.